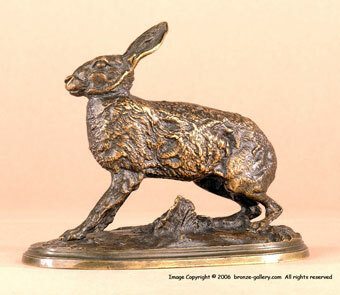 This wonderful little crouching rabbit bronze is expertly cast in Mene's own foundry under the artist's direction. The Rabbit is crouched and ready to run, this bronze has caught him in the instant before he runs away. 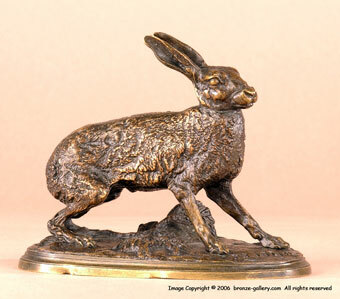 It is a very detailed cast showing all the fur details with a brown patina. The early cabinet bronzes of Pierre Jules Mene are very difficult to find as very few have survived to this date. Animals in Bronze by Christopher Payne on pg. 367.